Stores can learn to protect against the thieves targeting jewellers. April was a hotbed of crime in the jewellery industry, but then again so is every month. Find out about Aurum’s new security enhancement programme and learn more about how best to protect your store, stock and staff. As Woolwich Crown Court in central London geared up for the 10-week trial of the nine men accused of conspiring to steal £40 million of jewellery from Graff last August, elsewhere April was characterised by a series of fresh high-profile crimes at retail jewellers across the country. After dominating the headlines for a full week in March following the daylight smash-and-grab raid at Mappin & Webb on London’s Old Bond Street, Aurum Holdings hit the headlines again. 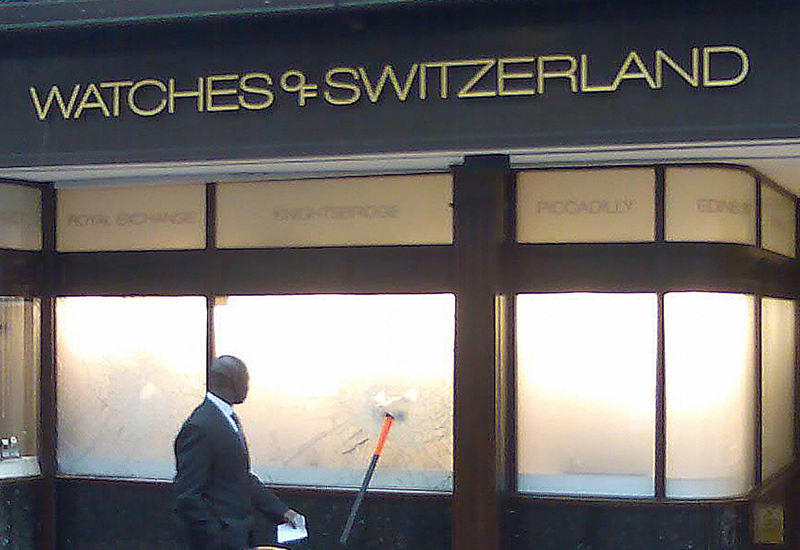 A few streets away, its Watches of Switzerland boutique on Oxford Street was attacked in a nearly identical style as a motorbike gang smashed through the shop window in the middle of the day. 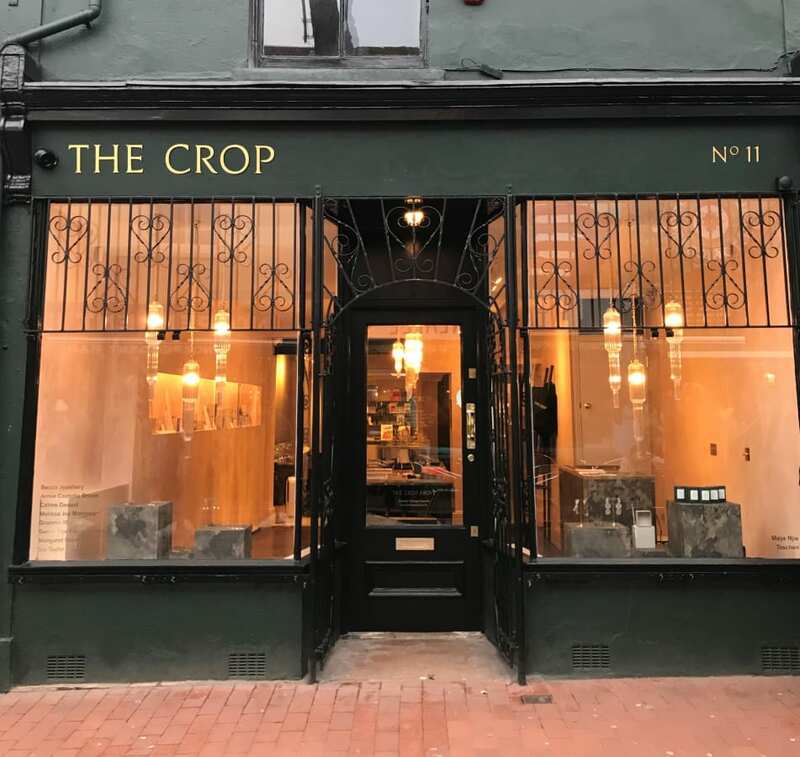 Just outside the city limits in the small town of Cobham in Surrey, high-end jeweller Jewels of Cobham was raided twice in one week. After a motorbike gang failed in its attempts to smash the shop window and ram the front door with a motorbike, the shop was targeted again just four days later, and police strongly suspect the same suspects were involved. The second raid was successful and robbers hit the store’s owner over the head before escaping with stock in hand. And the crimes didn’t stop there. Tateossian on the King’s Road in London was raided in the middle of the night by a motorbike gang who escaped with £2,000 of jewellery, Cornish Stone Company in Newquay was hit by three men in drag, The Gold Den and Lionel’s Watch Shop in Rotherham were robbed of £40,000 of jewellery and an H&T pawnbrokers in Harrow was targeted in broad daylight by a motorbike gang. All these crimes took place in April alone, and it was in no way an unusual month for the trade. Selling jewellery brings with it great rewards, but it undoubtedly it brings great risks. If a gang or individual is determined to enter your shop by force, there’s little you can do to stop them. But there are ways to protect your staff, deter criminals and help the police to catch robbers and recover stock. 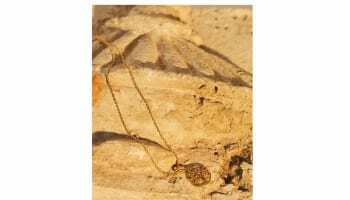 As the most-high profile victim of crime in the jewellery industry in April, for the second month running, Aurum is taking action and ramping up security measures. 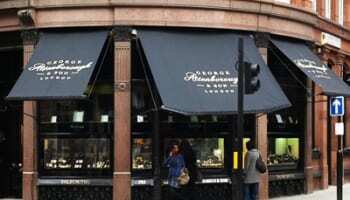 The retail group’s Mappin & Webb, Goldsmiths and Watches of Switzerland stores have been attacked more than 20 times since January 2008, with high-value watches the main target of raids, which usually last an average of one to two minutes. “In light of recent raids on a number of our stores, we are doing everything in our power to protect against any future impact on our stores, and most importantly our staff,” says Aurum chief executive Justin Stead. Stead says the majority of the attacks on Aurum’s stores have been carried out by gangs of four to six offenders on motorbikes. In the case of the two most recent raids in central London, one member of the gang pulled up on a bike and proceeded to smash through the glass of the shop window while others used their bikes to rev at passers-by and keep them at bay. Because of the frequency of these smash-and-grab-style attacks Aurum has toughened its laminated window backs from 6mm to 10mm in an attempt to prevent raiders breaching the windows and grabbing stock. It has also upgraded its shop windows to anti-bandit glass, a specially toughened formula of intermixed multiple layers of glass and PVU that usually ranges from 5.5mm to 21mm in thickness. When it comes to toughened glass, the rule of thumb is the thicker the better. One of “the most innovative new ventures”, as Aurum calls it, installed at high-value stores across the group has been Concept Smoke Screens. The anti-theft deterrent works by releasing a cloud of non-toxic smoke that makes it difficult to see, stopping raiders in their tracks. To fully understand how the concept works, visit professionaljeweller.com/videos to see some real-life footage of retail robberies foiled by the security tool. But despite all the deterrents in the world, thieves will sometimes still manage to succeed and then the priority becomes catching them after the act. Working closely with the police is key to catching criminals and recovering stolen stock. Police forces throughout the UK are getting more creative with witness appeals and some forces are posting filmed appeals on video website YouTube. Bradford South CID did just this in its search for robbers who stole an estimated £100,000 from Shaandar Zewar Jewellers in the city in March. As well as video of a spokesperson from the force giving details of the robbery, a crucial element of the broadcast was CCTV footage of the actual crime. A decent CCTV system can make the difference between catching a criminal and waving goodbye to lost stock. Aurum understands the benefits and has recently upgraded its CCTV, adding extra cameras and introducing higher definition screens for better clarity. Graff also invested in a good CCTV system, which is currently being put to the test in the court room as jurors watch shocking footage from last year’s raid. The accused are clearly seen walking into the store and are easily identified, despite disguising their looks with professional make up. The shots have also been of high enough quality to be used in the press and were circulated in August just after the attack to try and track down the criminals. While Shaandar Zewar Jewellers’ investment in CCTV helped police chase down suspects, there was one investment that the jeweller failed to make: insurance. At the time of the robbery, the retailer had no insurance and so damage to the store and lost stock came out of the business’s own pocket. And Umer is not alone. Despite working in a high-value product industry, a surprisingly large number of jewellers fail to get insurance. In February, diamond dealer Noah Stefancki was robbed of €1 million (£870,155) of loose diamonds while on the road in Ireland. Stefancki was travelling with no insurance and lost his life savings in the raid. There were a similar spate of on-the-road robberies in 2009 and the phrase “lost life savings” popped up again and again as reps admitted to travelling without insurance. As the recession bit harder, some businesses might have been tempted to cut back on insurance, but Harry Warren of GJIS Global Jewellery Insurance Services says this should only be attempted by retailers who have enough cash in the bank to cover any potential loss, not those already struggling. “If you are at your weakest and you suffer a loss, it could be the straw that breaks the camel’s back,” says Warren. cutting it out. He says retailers can chose to leave out some aspects of policies if “their backs are really up against the wall”. Loss of profits insurance, which covers any business interruption, is one policy he suggests can be dropped to cut costs, and terrorism cover, which protects retailers against acts of terrorism, is another. However, Warren warns that should retailers feel themselves at risk in either of those areas it would be wise to maintain the policies. But it seems there is more than just the immediate effects of a robbery to contend with when deciding whether or not to buy insurance. One insurer said that retailers can damage future relationships with insurance companies by cutting out insurance for a number of years. The insurer claims that some firms will see a return to insurance after an absence as suspicious and might well increase the policy price. With a number of its staff falling victim to violent crimes on multiple occasions, Aurum has set up a counselling service. The group provides full counselling programmes from both an in-house HR team and additional outside providers. In doing so the retail group has covered all angles of dealing with criminal attacks in its security enhancement programme: prevention, protection and after care for the longer-term affects of crime. Though budgets may be tight, a little investment can go a long way, and if you’re in the business of selling high-value items you must think deeply about how best to protect your business from those in the business of stealing high-value items. Because there is no doubt they have been thinking about you. While it’s nice to believe it’ll never happen to you, the sad reality is that jewellery and watch stores find themselves in one of the most targeted sectors of retail. So rather than living in hope take the time now to invest as much as you can in security and insurance and minimise the impact of crime should your business join so many others in the headlines yet to come.